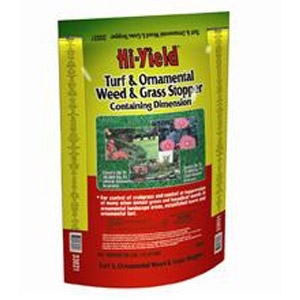 Use in ornamental landscape areas, established lawns and ornamental turf. Can be applied up to 4 weeks later than other preemergence Crabgrass preventers. Provides superior control of crabgrass and many other annual grass and broadleaf weed. 35 lbs.